Always a musical chameleon, Malkmus has chosen to pepper his new record with chunks of Pavement, a healthy dose of country rock and shards of disco fever. Opening track 'Pencil Rot' bursts into life like a nutjob cartoon theme-tune, with big bold chords and scuzzy falsetto facing off in what feels like a Bobby Conn sideshow. Yet even under this thick and opaque layer of eye shadow, JD's and glitter, 'Pencil Rot' is still very much a Malkmus production - albeit one that appears to have rediscovered the funk. Those who want a Malkmus they recognise don't have to wait long, with next song 'It Kills' going back to the Shady Lane sound which Beck so successfully plagiarised on 2002's 'Mutations'. Elsewhere we are treated to a Mark E Smith homage ("The Cemetery head-stone is a rock in the rain...") over what sounds like a reinterpretation of the Big Breakfast theme tune (we kid you not) on 'I've Hardly Been', a bona fide summer hit single with the Byrd's influenced sunshine pop of 'Freeze the Saints' whilst 'Mama' is a countrified disco romp, coated in a rimy layer of Beach Boy melodies. 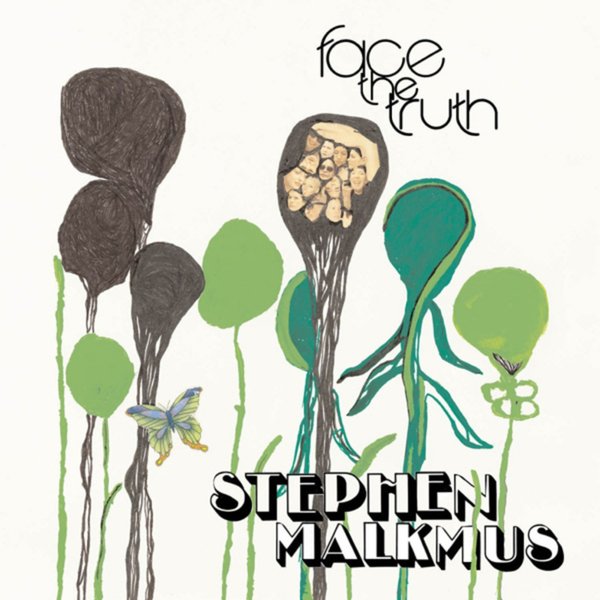 Closing on the lazy footed strings of 'Malediction', Malkmus proves he's still got the skills to pay the bills.